This product is expected to ship on Thursday, April 25 if you place your order within the next 16 hours and 58 minutes. It’s important to have the right sort of desk wedge and card holder for your office. 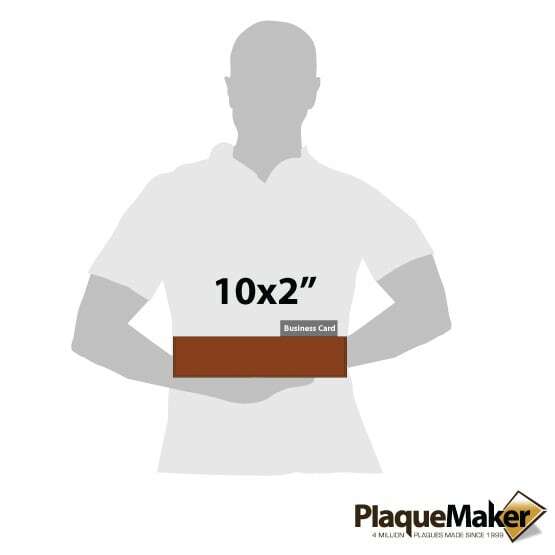 But there’s no need to worry: PlaqueMaker.com has you covered with our wide selection of personalized name plates, including the Faux Leather Rawhide Desk Wedge with Business Card Holder. 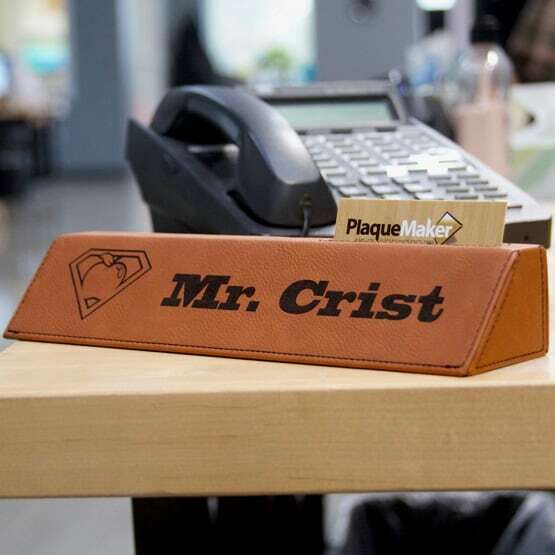 This wrapped faux leather desk wedge will add the perfect rustic touch to your office. 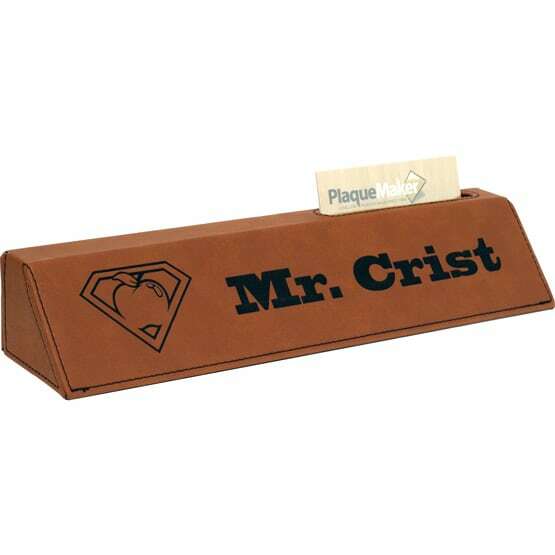 Customize your own Faux Leather Rawhide Desk Wedge with Business Card Holder with your own name, title, and artwork using our online design tools. The capability of creating yoru own design will ensure that the desk wedge is perfect for you! Stuck in the design process? Allow our team of graphic designers to create the perfect desk wedge for you. Just type any special instructions about the design in the “Additional Notes” and we will send you a proof of your professionally designed desk wedge.